analog camera skills x paint x film = Davis Ayer. YEARNING FOR NOSTALGIA AND ALL THINGS ANALOGUE. Written by Liz Ash as always. 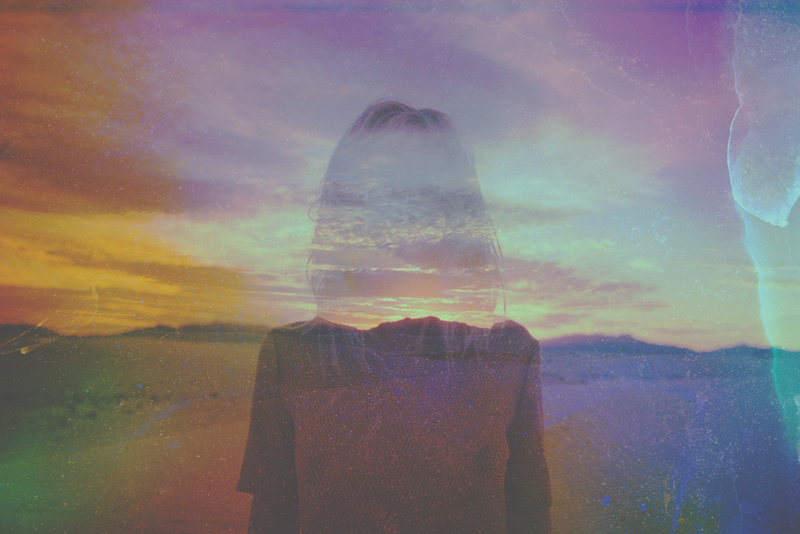 Davis Ayer, originally from Austin (Texas), is an American fashion photographer based in California. His list of inspiration includes: all things analogue, the “recent past,” and nostalgia for the era before he was born, “which is a world that doesn’t exist anymore” he writes. His series titled ‘Acid Washed Dreams' was taken from the White Sands of New Mexico. 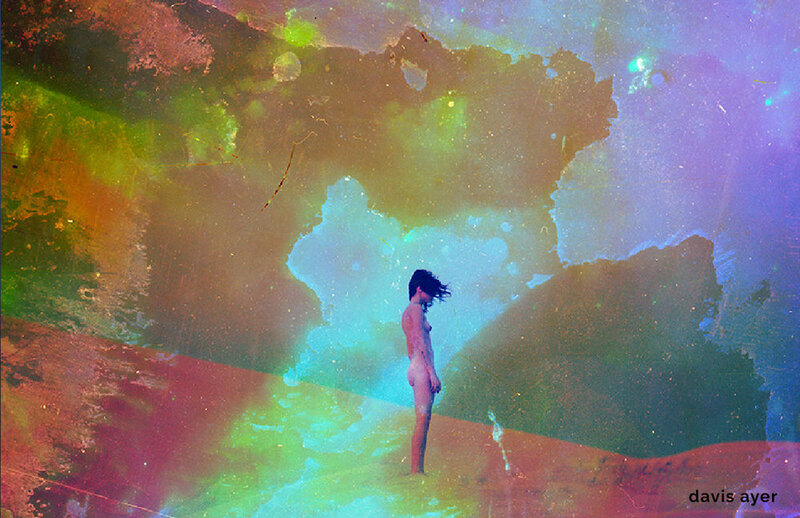 I first wrote about Davis Ayer in 2011 [on my then blog BEAU MONDE] when he released this amazing collection entitled 'Acid Washed Dreams'. BEAU MONDE was a space where I sought out up-and-coming artists, and to my delight every single one that I wrote about ended up "blowing up" in the years to come....I think this is my talent or gift, and I say that without ego, just truth. Anyway, Acid Washed Dreams is a collection where psychedelic colored analogue photography with slow shutter speeds created this eerie movement in his images and when I stumbled upon the images I was spellbound by them..
To create the dreamlike patterns washed over his images, Ayer paints directly onto the negatives he shoots of female nudes. Ayers photos remind me of memories. They explore perspective and perception. Ayer rarely focuses on a model’s face, her head turned away from the camera, shadows or hair covering, or blurred out all together. In this way, the photo becomes less about her and more about us — the viewer. Our interpretation, but also our relation. Maybe we are her - standing there: alone in a deserted landscape, looking at the sky or the ground, thinking of the past or the future. Maybe we are all Her. Maybe we are her - standing there: alone in a deserted landscape, looking at the sky or the ground, thinking of the past or the future. And then we are her thinking of the moment when we're thinking about the moment, as we stand awkwardly looking at the sky or the ground thinking of the past and future? And then we become present. We are here and now (the only place we can be). All images from Davis Ayer and you can find more about his work on his website here.